Phanteks are another company we bumped into during Computex and it was a good thing too, as it had a lot to talk about. 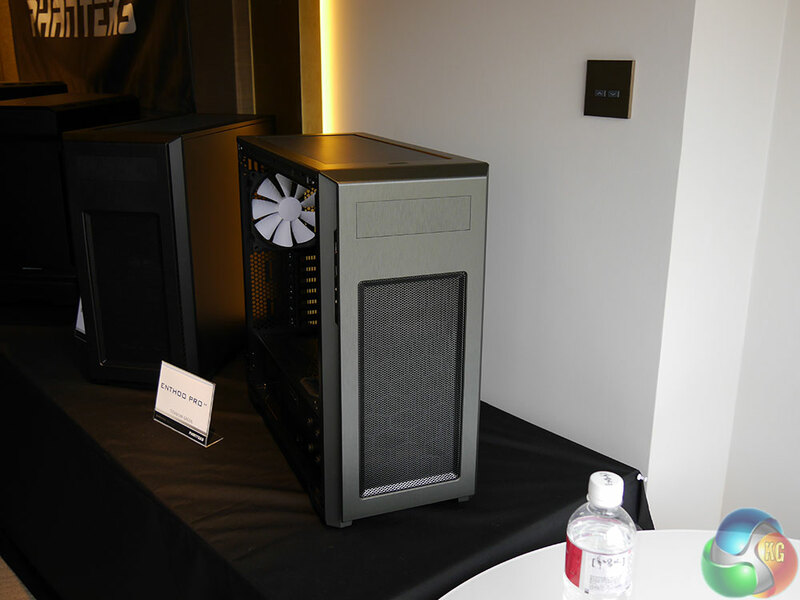 It was showing off a lot of new cases at the show, as well as a table full of different heatsink/fan combinations, which no doubt will end up in some of your PCs before long. 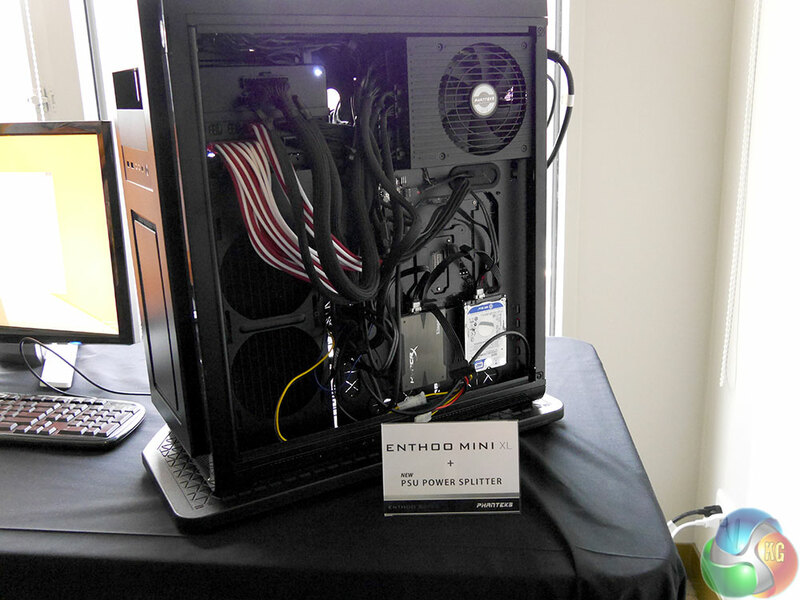 The most noteworthy chassis it had on display, was the Enthoo Mini XL, with a new power splitter. 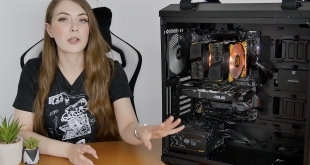 When we reviewed this case earlier this year, we found it irritating that the second ITX system had to use a secondary power supply, but that has now been changed with the introduction of the PSU Power Splitter, which is a £40 extra. 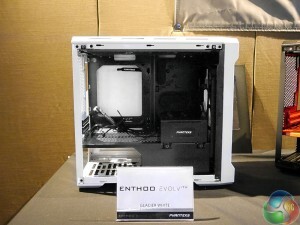 Phanteks is still sticking with the contradictory name. The Enthoo Evolv ITX is a more compact chassis, designed with ITX systems in-mind. 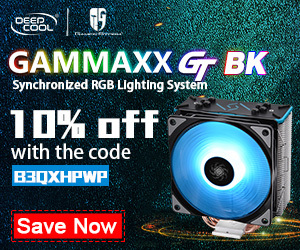 It does come in some very nice colour variants however. 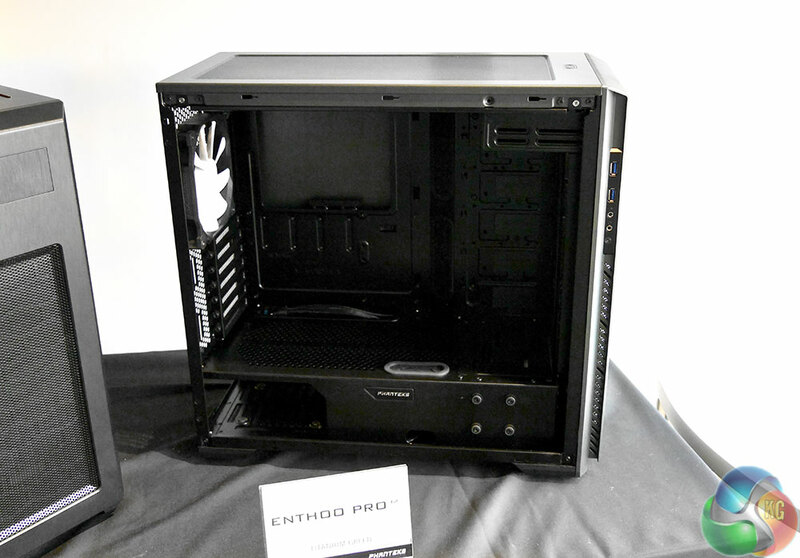 The Enthoo Pro is a little more traditional in its design, but should be more applicable with a wider range of hardware. It also features a new shelving system for adding hard drive mounts. While they will come as standard with the Evolv chassis, Pro users will need to buy them as extras. 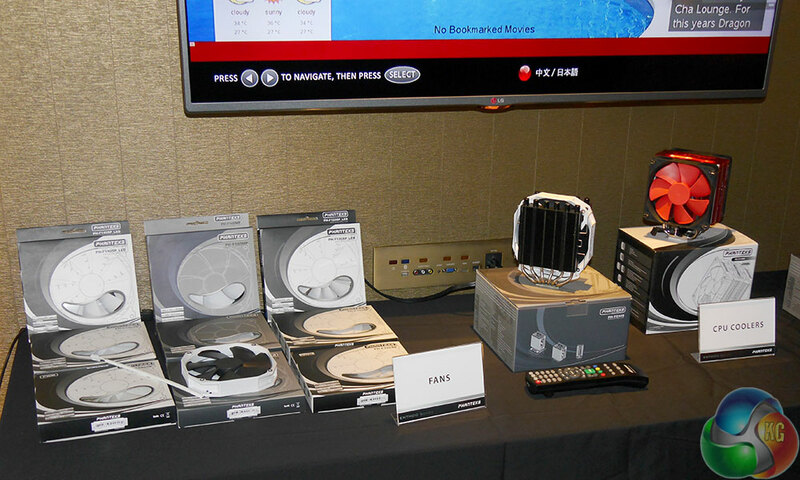 Like these coolers. 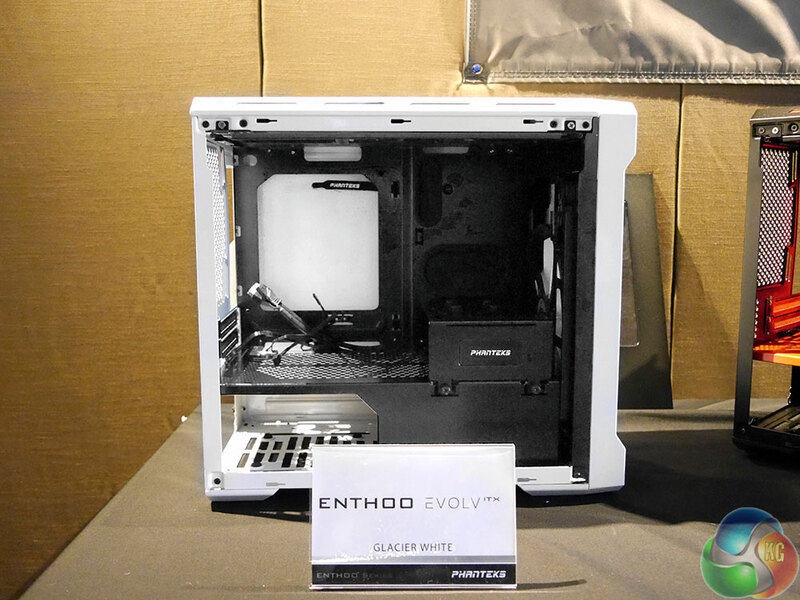 Which were kindly given detailed labeling by Phanteks so we didn’t get confused about what was what. 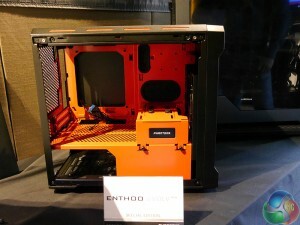 KitGuru Says: Phanteks have proven themselves as a great chassis maker in the last year, an exciting year ahead for the company.